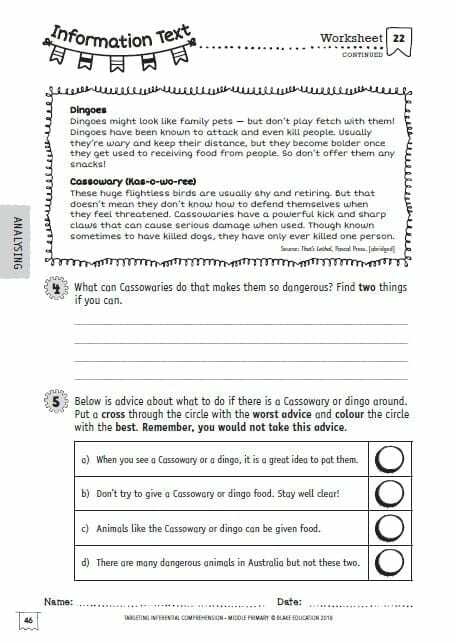 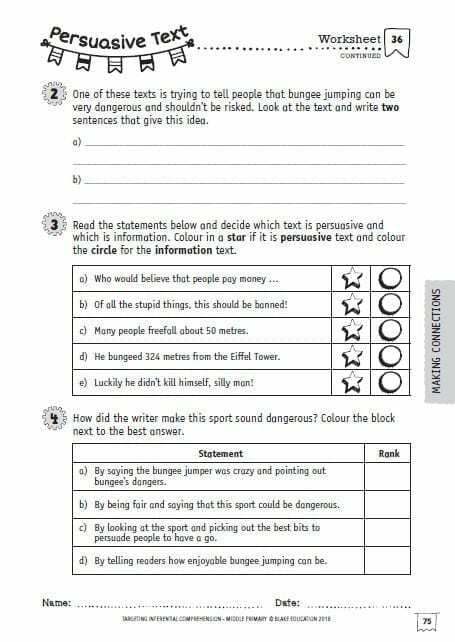 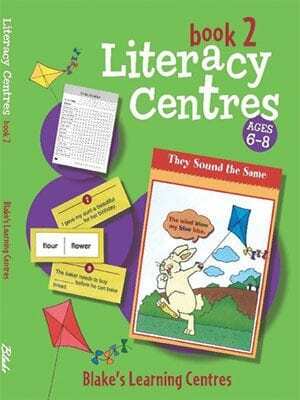 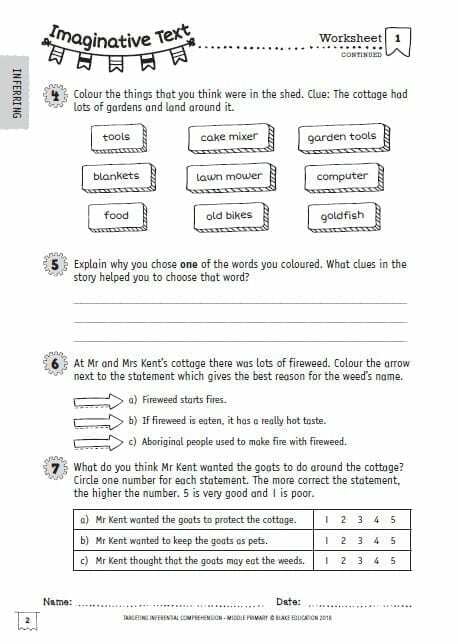 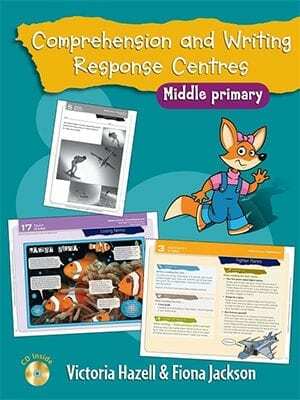 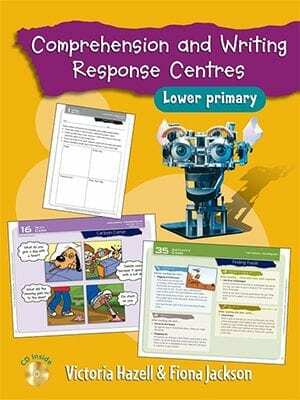 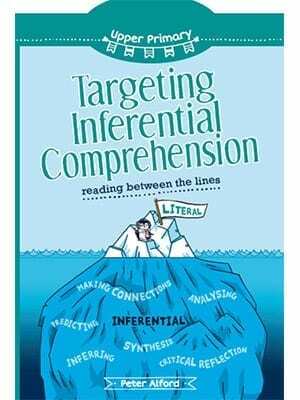 Targeting Inferential Comprehension – Upoper Primary provides the tools to teach students how to read between the lines. 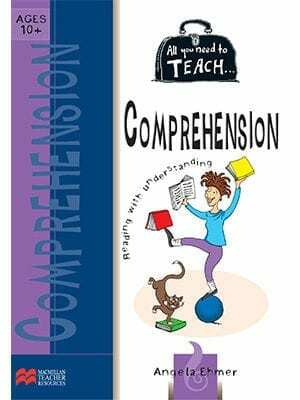 Inferential comprehension interprets ideas, intent or information in explicit text to make assumptions. 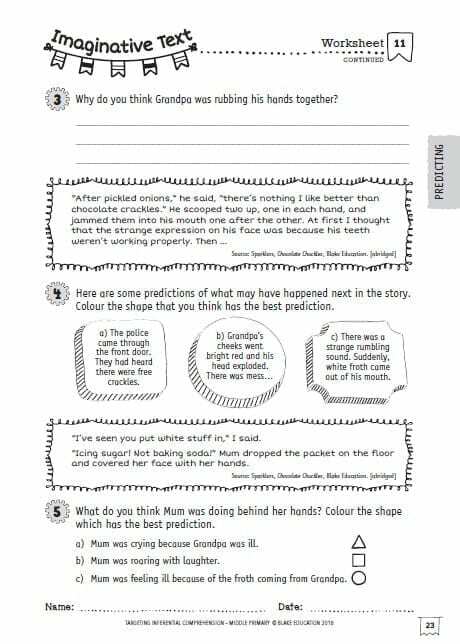 Students learn to hypothesise and conclude using their personal experience and intuition. 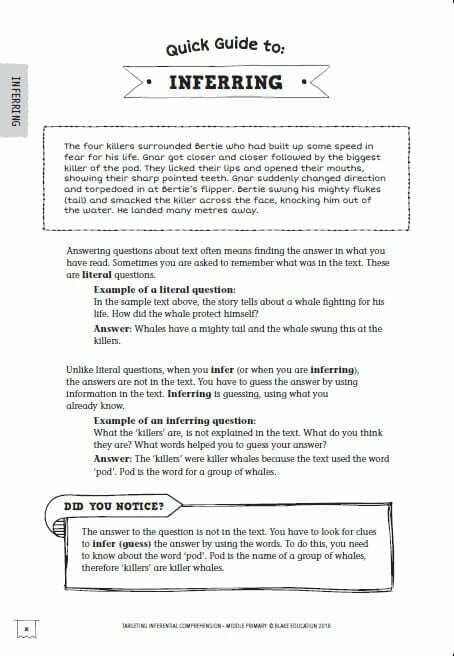 Critical reflection – Students draw on their own experience and knowledge to gain insight into characters.